KENTUCKY TORT JOURNAL | RECENT NEWS IN KENTUCKY RELATED TO TORT AND INSURANCE LAW. Kentucky Accident Information has a new post discussing how businesses are still responsible for injuries when they misuse or overuse yellow caution signs to warn of dangers on their property. The article discusses not only the misuse of yellow caution signs by businesses, but the habitual overuse of those same yellow caution signs when no danger is present. 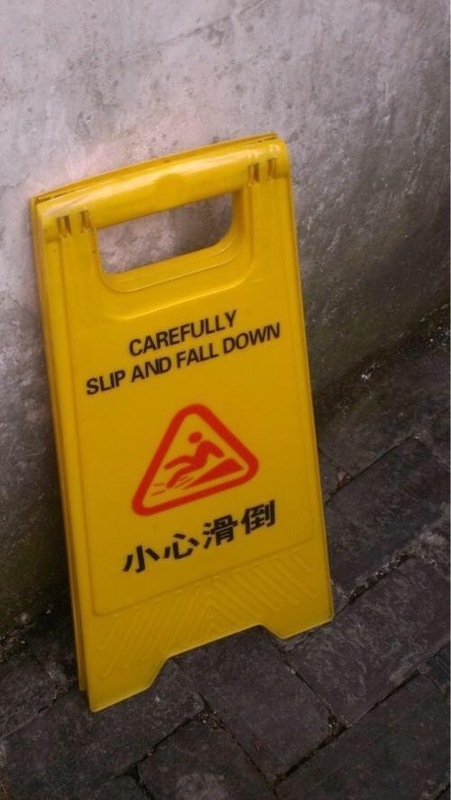 The article goes in depth to identify the most common misuse or overuse mistakes that businesses make and how they attempt to avoid liability by misusing and overusing yellow caution signs. It is a very interesting read and something every customer should keep in mind when they visit a business or commercial venue. It is important to remember that the obligation businesses owe their customers extends beyond slapping a yellow caution sign up on the property in hopes to avoid injury. Kentucky Accident Information explains the extent of that obligation and the steps customers can take to protect not only themselves but other customers as well. Insurer Can’t Use Medical Review to Deny No Fault Benefits. The Court of Appeals recently decided Houchens vs. GEICO, a case that questioned whether a reparations obligor in Kentucky is entitled to utilize “paper reviews,” which are not tendered to nor reviewed by a court, as the sole basis for terminating or denying an insured’s no-fault benefits (BRB’s). Court of Appeals Clarifies Law Regarding Apportionment for Third Party Defendants. The Kentucky Court of Appeals recently published two cases dealing with apportionment involving third-party defendants that are of interest. In the case of Memorial Sports Complex, LLC vs. McCormick, et al, the Court was required to determine whether the dismissal, but subsequent allowance of apportionment, of the third-party defendants was appropriate. Memorial was sued after a minor (Mowery) suffered personal injury running into one of its fences during a baseball game. Memorial filed a third-party complaint, seeking contribution, indemnity, and apportionment against McCormick, (Mowery’s Coach), Mowery’s father (Dale), and Geddes Fence Company (Geddes). dismissed Third-Party Defendant[s][. ]” Geddes moved for summary judgment which was granted by the trial court, dismissing Memorial’s claims “with prejudice, as a matter of law, subject to apportionment in Plaintiff’s [Mowery’s] claim against Memorial.” Memorial appealed both rulings. The Kentucky Supreme Court recently issued an opinion regarding which of two insurance policies provided primary insurance for purposes of uninsured motorists (UM) benefits provided to a passenger. The car in which the passenger was riding was struck by a car later found to be uninsured. The driver of the car maintained an insurance policy that provided coverage for UM benefits. The passenger also owned a car of her own, which likewise provided UM benefits in the event she was injured by an uninsured car. An argument arose between the two insurance companies regarding which insurance company was responsible to provide primary coverage to the passenger or whether they were both responsible for providing coverage under their respective “other insurance” clauses that provided coverage on a pro rata basis. The Court identified two issues for determination. First, should the competing insurance companies “other insurance” clauses apply so that they were mutually repugnant and therefore pro rata apportionment was necessary or should they be deemed in violation of the Motor Vehicle Reparations Act (MVRA), and second, who bears the primary responsibility for providing UM coverage the vehicle’s insurance company or the passengers? This case illustrates the importance of that point, and makes clear that our reasons in Shelter for “declin[ing] . . . to further embroil Kentucky courts in unduly complicated two-step insurance policy interpretations of continually emerging and changing insurance avoidance clauses,” apply just as much to priority disputes between vehicle and passenger insurers in UM cases as to similar disputes between vehicle and permissive-driver insurers in liability cases. We agree with the Court of Appeals, accordingly, that between such insurers, “[a]bolishing the rule of apportionment for UM coverage is a logical and natural extension of Shelter.” (Citations omitted). the inevitable litigation they spawn, any contrary result runs directly counter to the MVRA’s basic purposes of minimizing insurance litigation and “encourag[ing] . . . prompt payment of needed medical care and rehabilitation” to accident victims. 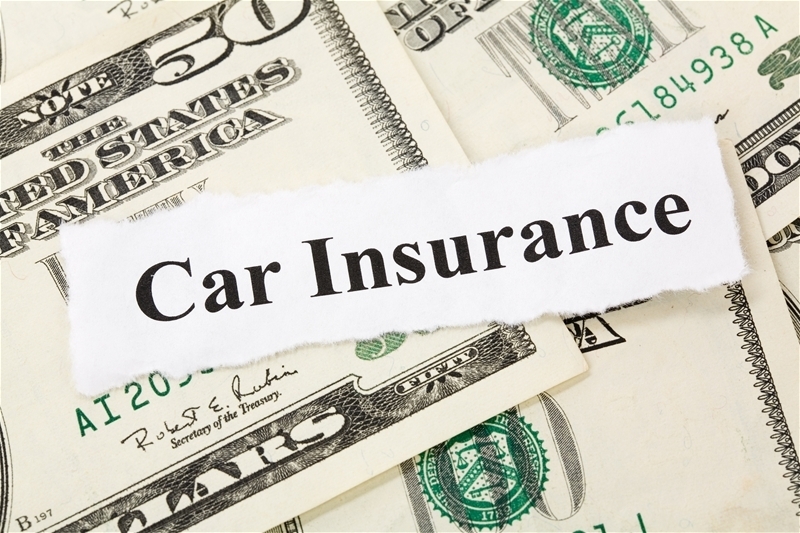 As in Shelter, therefore, we find in the stated purposes of the MVRA a legislative intent to the effect that in instances where both the vehicle owner and a non-owner passenger are separately insured with UM coverage, the vehicle owner’s coverage shall be primary. (Citations omitted). This case closely mirrored the problems that the Supreme Court was concerned about with these types of clauses and issues. Two insurance companies arguing over who is supposed to provide UM coverage to an injured passenger that both companies agree she should receive. It took four years, however, before either insurance company paid any benefits to the passenger. As such, the Court found that allowing competing insurance clauses did nothing more than give the insurance companies a reason to argue with each other and delay payment to the insured in violation of the MVRA’s specific purpose of prompt payment of claims. It also noted the inherent difficulty in finding the insurer for a passenger as opposed to a car, which was readily identifiable and required. A very thorough and well-reasoned opinion that should bring the different coverages available into agreement with one another. Frankly, I have on several occasions had this issue come up in the UM and UIM context and have never had an insurance company for the car in which my client was riding try to deny its primary role in providing coverage. This opinion effectively renders these two issues resolved in Kentucky as to all types of insurance coverage. You can read the entire opinion, Countryway-vs.-United Financial Casualty. Can you easily distinguish circumstances in which bad faith exists vs. where it does not? Are you aware of the tips, tricks and best practices utilized by both sides of the table? Augment your insurance knowledge with the concrete strategies you need to avoid traps, overcome challenges and reach your goal in the next bad faith case. Whether you’re counsel for the plaintiff, the defense, or are an insurance professional trying to prevent bad faith claims, you won’t find instruction this practical anywhere else. Register today! Get a clearer understanding of what bad faith is and isn’t. Anticipate and avoid the commonly-mishandled aspects of bad faith cases. Accurately determine the validity of a claim with surefire discovery tactics. Understand the effectiveness bad faith defenses and know alternatives when they’re not accepted in court. Get pointers for presenting bad faith in court, from voir dire to verdict. Walk through the major stages of a case and get practical pointers from experienced faculty along the way. The class qualifies for 6.0 Kentucky CLE credits. You can click the following link for the complete details on how to register, costs, and program and course content. This is a decision that was actually rendered in May by the Kentucky Supreme Court. However, it has serious implications as the most recent opinion the Court has issued on punitive damages and it’s worth your time. Saint Joseph Hospital appealed from an opinion of the Court of Appeals that affirmed a Fayette Circuit Court judgment awarding $1,450,000.00 in punitive damages to the Estate of James Milford Gray. The award was based upon a jury verdict finding that the Hospital had engaged in gross negligence in its treatment of Gray following two visits to the Hospital’s emergency room after which he ultimately died. physicians engaged to provide emergency room services; (4) the punitive damage award was excessive and violated the Due Process provisions of the Fourteenth Amendment; and (5) the trial court’s failure to dismiss a sleeping juror deprived the Hospital of a fair trial. This case endured a tortuous course through the courts. The verdict now under review was the second jury verdict awarding punitive damages against the Hospital. In the initial verdict, all the other defendants settled and the case went to trial on the claims against the Hospital and its employees. The jury returned a verdict in favor of the Estate, assessing compensatory damages in the sum of $25,000.00. The jury allocated 15% of the fault to the Hospital for a compensatory award was $3,750.00. The jury also assessed $1,500,000.00 in punitive damages entirely against the Hospital.